You can add as many users as you need to your account, as long as you stay within the total number of users permitted with your subscription plan. You can share the routes with your employees or sub-contractors via e-mail or send them to their mobile device. Usually, if you use a sub-contractor time just once, you can send them a route by e-mail. But if you are sharing a route with a full-time employee, it is better to assign route to him directly. 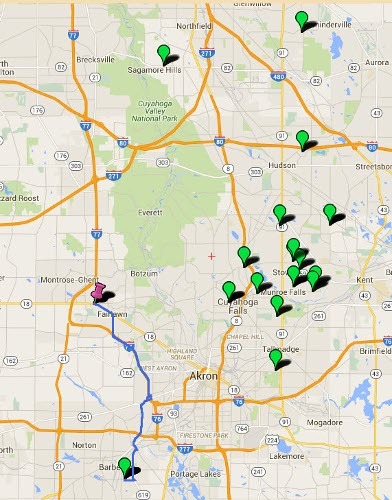 Assigning routes to drivers can be helpful when splitting up the deliveries of your service. Splitting up the work between drivers is a great way to get the most out of the Route4Me service. "route_id": "D2F21FAD3F92C55ADA81FC841CCA3A1A" - 5 addresses. See example for one route below. You can get the details of the remaining routes by using the same method and changing the parameter route_id. In the RESPONSE you can see the array of the fields path_to_next **. Those will be used to draw routes on a map, exactly as they generated by Route4Me API. You can create user account and each driver's acounts using Route4Me API. New user registration process requires user to provide a unique email. You can't register with the email from example below. 7 :: The example refers to a registration new Route4Me account. 11 curl -k -X POST -H "Content-Type: multipart/form-data;" -F "strIndustry=Gifting" -F "strFirstName=Olman" -F "strLastName=Oland" -F "[email protected]" -F "format=json" -F "chkTerms=1" -F "device_type=web" -F "strPassword_1=111111" -F "strPassword_2=111111" "%url%?plan=%plan%&business_member_type=SUB_ACCOUNT_DRIVER"
As you can notice, this route belongs to the user with member_id=1. You can reassign the route to the newly created driver with member_id=315948. 8 curl -o file1.txt -g -X PUT -H "Content-Type: application/json" -d "@update_route_data.json" "%url%?route_id=%routeid%&api_key=%apikey%"
You can re-assign a route to a sub-contractor user. 8 curl -o file1.txt -g -X PUT -H "Content-Type: application/json" -d "@reassign_route2user_data.json" "%url%?route_id=%routeid%&api_key=%apikey%"